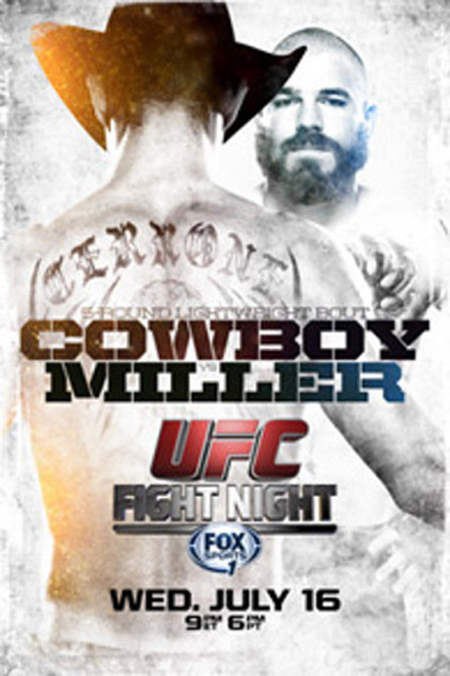 “UFC Fight Night: Cowboy vs. Miller” is officially jumping off inside Revel Casino Hotel in Atlantic City, New Jersey. UFC Fight Pass kicks off tonight’s festivities by streaming the first preliminary bout at approximately 6:30PM ET/3:30PM PT. Fox Sports 1 will handle everything else from there. The network airs the remaining four prelims at 7PM ET/4PM PT. The main card begins immediately after at 9PM ET/6PM PT. A lightweight shootout between Donald Cerrone and Jim Miller headlines the show. Fellow 155-pounders Edson Barboza and Evan Dunham serve as the co-main event.